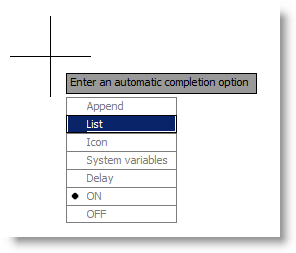 When you use the Command Line or Dynamic Input Cursor sometimes a wonderful thing happens, the application makes suggestions of commands, or variables, a pull-down list or icons may even appear. 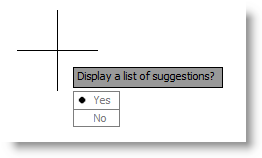 What if you want to change how these suggestions behave and what is shown. 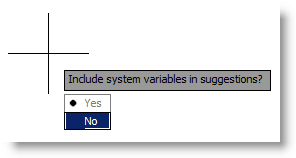 Maybe even get rid of the pull-down list or suggestions all together? 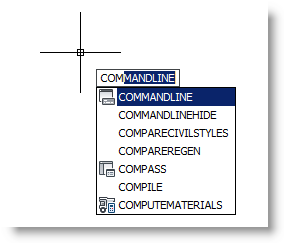 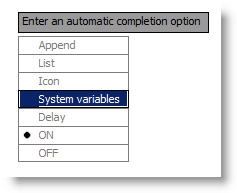 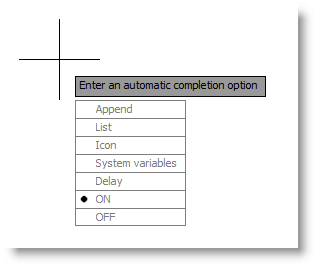 A good practice when typing mostly commands, especially when using dynamic input is to turn Off the List option (Figure 5-6) and the System Variable options (Figure 7-8), which will set the “Autocompletemode” to 27.